The path of transactions has for a long time no longer been restricted to the sphere of a single entity. Payment data for example travels across interfaces, mobile telephony operators, online platforms, website masks, which in turn are hosted on servers of other providers etc. In a world in which money and investment products are transmitted in the form of data, and financial services are provided over certain media, many intermediate service providers also have to ask themselves the question about whether the activity that they perform is addressed in supervisory laws or not. With regard to the boundary, of whether the system is a purely technical one or not, in the latter instance also associated with a service that requires a licence, it is necessary to check what services are contractual bound to be performed. If for example you provide exclusively server-based services or a website, through which the product providers and customers act without any further intervention on your part, you are generally excluded from licencing requirements. In the case of interface between hardware and software there are often difficult issues arising from the legal boundaries. If your model relates exclusively to services in conjunction with bill-paying services, the Payment Services Act 2018 (ZaDiG 2018; Zahlungsdienstegesetz) may be applicable. Purely technical services continue to be excluded. A technical service provider may only be someone who does not perform an activity requiring a licence listed in Article 1 para. 2. The activities listed in nos. 1 to 6 already existed prior to ZaDiG being amended, and hitherto were only applicable in the case that one physically came into position of the funds to be transferred. This means that funds pass through your own accounts. 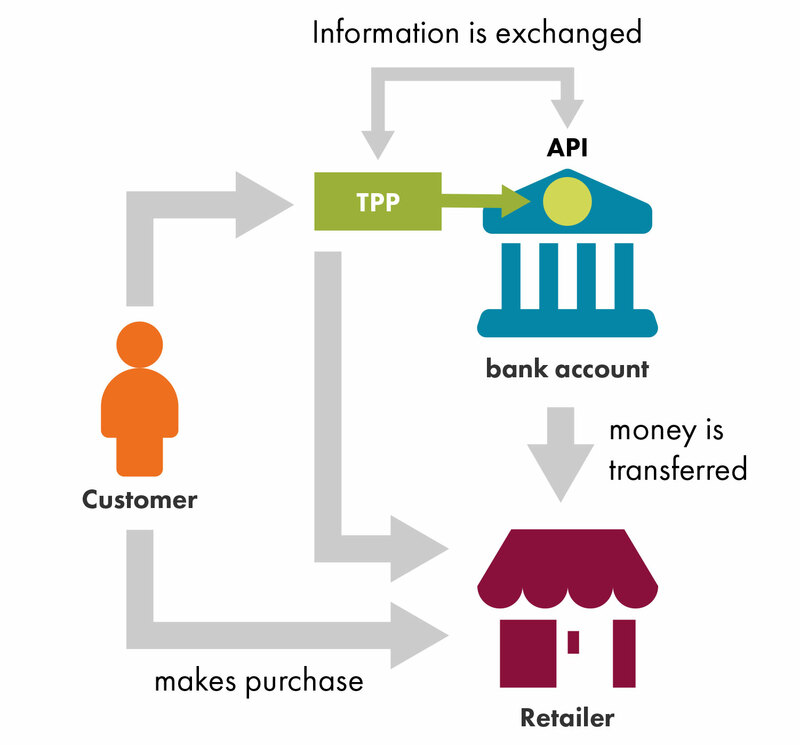 In addition, as a result of ZaDiG 2018 (the transposition into national law of the Payment Services Directive II (Directive (EU) 2015/2366), new activities that require a licence were created for account information services and payment initiation services – so-called “Third Party Payment Providers (TPPs)”. If you provide consolidated information about accounts at payment service providers, or your service is used to initiate payments via interfaces to payment service providers, you should submit an enquiry to the FMA in a timely manner. See directly below for further information. ZaDiG 2018 continues not to recognise any activities relating to the intermediation of payment services, regardless of which technical channels they use. If, however, you operate interface services, it is necessary to ensure that they do not constitute a payment initiation service or an account information service pursuant to Article 1 para. 2 nos. 8 or 9 ZaDiG 2018. The Payment Services Act 2018 (ZaDiG 2018; Zahlungsdienstegesetz 2018) also addresses the exception for electronic network operators and services for the area of digital payments. Only payment transactions are excluded that are provided by such providers in addition to electronic communications services. They are also only excluded in the case that they involve low value payments (up to € 50, with certain monthly maximum volumes) and either digital content and voice-based services are being purchased; or they are being provided in connection with a charitable activity or for purchasing tickets. Both these new services are now subject to regulation, even in the case that they are not associated with taking possession of customer deposits. To a far greater extent the services are now “in possession” of the customer’s access data to their payment account. Payment accounts go far beyond the boundaries of classic current accounts, e.g. they may also include electronic money accounts or other accounts that the customer may make use of for performing payment transactions. Payment initiation services are services, which at the request of the payment service user initiate a payment order in relation to a payment account held at another payment service provider. They require a licence issued by the FMA, and in some cases have less strict requirements, since they do not physically hold customer deposits. In the case of a payment initiation service the customer asks the service provider to initiate a credit transfer for them at their account servicing payment service provider, for example when they buy something in the online shop of a merchant. This takes as the legislator of the Directive understands it via a software bridge between the website of the merchant and the platform of the customer’s payment service provider (Recital 27 of PSD II). In the certainty that the payment was initiated the merchant is more willing to release its wares without delay or to provide its service. Such payment initiation services are based on direct or indirect access for the payment initiation service provider to the payer’s accounts (Recital 32). The institution at which this account is held must allow this access. Account information services are online services for communicating consolidated information about a payment account or several payment accounts that a payment service user holds at another payment service provider or at more than one payment service providers. They are required to be registered with the FMA. Services, whose purpose is the brokerage of specific products such as loans, bank guarantees/suretyships and deposit accounts, may under certain circumstances by considered as brokerage activities pursuant to Article 1 para. 1 no. 18 BWG. Systems that conduct the brokering of securities or other financial instruments pursuant to Article 1 para. 1 no. 7 WAG 2018, may constitute investment services pursuant to Article 3 para. 2 WAG 2018 (e.g. order routing systems, which handle the receiving and transmitting of orders in relation to financial instruments; or automated advice systems – please see the separate section in this regard). For technical applications, such as apps for mobile phones or online platforms, which broker the conclusion of a contract for certain products, the activities named should therefore always be checked. However, the mere listing of product information having entered customer data, for example on comparison platforms, does not require a licence. The Markets in Financial Instruments Directive MiFID II (transposed into national law by the Securities Supervision Act 2018 (WAG 2018; Wertpapieraufsichtsgesetz 2018) contains a new treatment of technical services, in which it stipulates rules and a separate authorisation procedure for so-called data provision services for markets like stock exchanges, multilateral trading facilities (MTFs) or organised trading facilities (OTFs). There is a new activity requiring a licence in Annex I (this annex contains a list of the investment services to be supervised) for the operation of OTFs – which covers systems that match the supply and demand for financial instruments in a discretionary manner, in a different way to MTFs. For this topic, in relation to the distribution of insurance products the activity-related definition of the term insurance mediation is relevant. Article 1 (1) (1) of Directive (EU) 2016/97 on Insurance Distribution (IDD) defines “insurance distribution” as the activities of advising on, proposing, or carrying out other work preparatory to the conclusion of contracts of insurance, of concluding such contracts, or of assisting in the administration and performance of such contracts, in particular in the event of a claim, including the provision of information concerning one or more insurance contracts in accordance with criteria selected by a customer through a website or other media and the compilation of an insurance product ranking list, including price and product comparison, or a discount on the price of an insurance contract, when the customer is able to directly or indirectly conclude an insurance contract using a website or other media; This broad definition of the term insurance distribution is also worth considering in the case of online sales or the establishing of online comparison portals for insurance products. The Insurance Distribution Directive (IDD) was transposed into the Insurance Supervision Act by means of the Act amending Insurance Distribution Law (VersVertrRÄG 2018; Versicherungsvertriebsrechts-Änderungsgesetz 2018). The new distribution rules must be observed from 01.10.2018. Direct distribution by insurance undertakings is thereby regulated. In a further transposition, distribution by insurance intermediaries is transposed in the Commercial Code (GewO; Gewerbeordnung). Article 2 para. 1 no. 3 IDD defines an “insurance intermediary” as any natural or legal person, other than an insurance or reinsurance undertaking or their employees and other than an ancillary insurance intermediary, who, for remuneration, takes up or pursues the activity of insurance distribution. Provided that these distribution activities are not performed by an insurance undertaking or an employee of an insurance undertaking, who is active under the responsibility of that insurance undertaking, and is thereby covered by the licence of the insurance undertaking, the relevant business licence is required for their performance on a commercial basis. 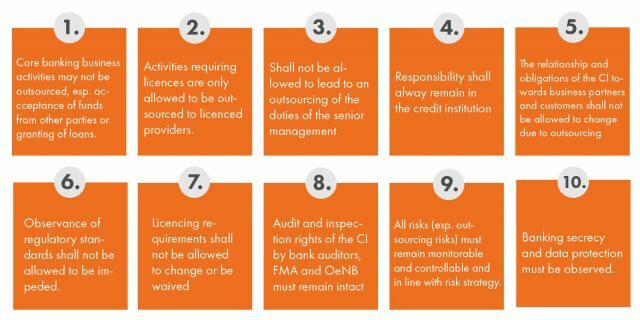 Credit institution may also only perform insurance mediation activities where they hold the relevant authorisation from the FMA to extend their business purpose to include insurance mediation activities pursuant to Article 21 para. 1 no. 8 BWG. It should be noted that insurance intermediaries remain competent for providing advice, if such advice is fully or partially performed by a fully-automated or semi-automated system, as such systems make personal investment recommendations that are based on a suitability assessment (cf. also Article 12 of Commission Delegated Regulation (EU) 2017/2359 supplementing the IDD with regard to information requirements and conduct of business rules applicable to the distribution of insurance-based investment products). This broad definition of the term insurance mediation is particular worth considering in the case of online sales or the establishing of online comparison portals for insurance products. It a technical service provider cooperates with a supervised entity, e.g. a bank, then the bank is required to observe strict rules on outsourcing, which might also indirectly affect the service provider. Issues relating to the obligation to publish a prospectus may arise for operations of online platforms dealing with or investments that are subject to the requirement to publish a prospectus pursuant to the Capital Market Act (KMG; Kapitalmarktgesetz). Since the KMG focuses on the issue of public offering, not only the issuer, but also the operator of the platform may therefore be committing a breach of the requirement to publish a prospectus. Breaches of the obligation to publish a prospectus are even subject to criminal sanctions pursuant to Article 15 para. 1 KMG. The cost for approval of the prospectus by the FMA are EUR 3,700 for a one-off prospectus (for a specific issuance) or EUR 4,200 for a base prospectus as well as fees of EUR 36.10. The duration of a prospectus approval procedure may usually take about 6-8 weeks from initial submission; the duration, however, depends strongly on the quality of the submission and the complexity of the material contained therein. We request that the timescale should be coordinated by telephone. These statements refers only to securities prospectuses; the FMA is not able to advise about the estimated costs for investment prospectuses as well as the legal advice that may be necessary in certain circumstances.